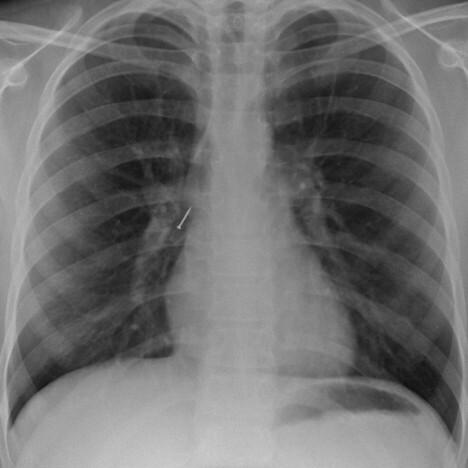 Coins usually lodge in the esophagus. They are most common aero-digestive foreign body requiring removal under general anaesthesia. Probably the world's most dangerous choking hazard. These may look similar to a coin, but they can burn through the esophagus in as little as 6 hours and become lethal. Please keep disc batteries out of reach of toddlers and young children. Until children are at least 5 years old, please cut hot dogs lengthwise twice; then chop into small pieces. Until children are at least 5 years old, grapes, cherry tomatoes, large blueberries and chunks of mango should be cut into small pieces. Never hold hardware or sunflowers seeds between your lips! See the Thumbtack extraction case. The Be Smart, Don't Choke website has been able to partner with some extraordinary organizations. St. John Ambulance is a charity dedicated to enabling Canadians’ health, safety and quality of life, offering innovative training and products for work, home, and play. The Royal College sets the standards for postgraduate medical education, and supports the continuing professional development of 47,000 specialist physicians, surgeons and Resident Affiliates.